TONIGHT in DC! 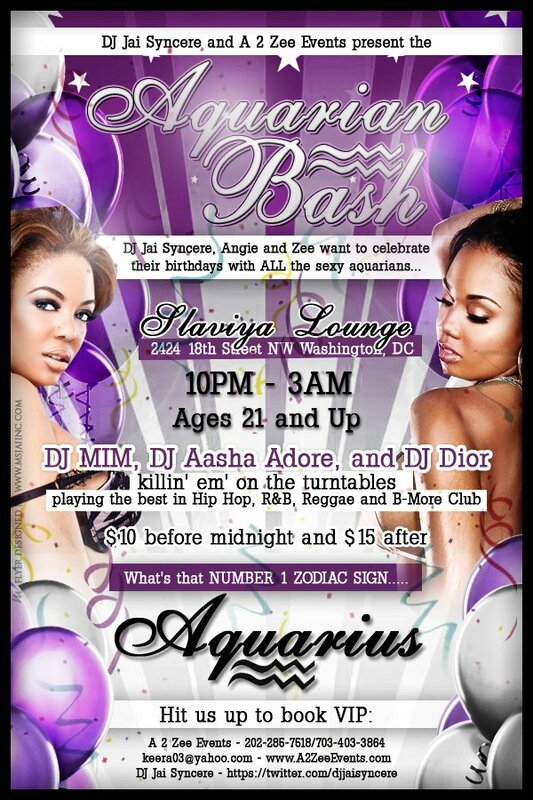 Aquarian Bash at Slaviya featuring @DJMIMDC! The ladies will be taking over Adams Morgan in DC tonight and partying at Slaviya and celebrating the birthdays of DJ Jai Syncere and Angie & Zee (A2Zee Events)! Our own DJ MIM will be rocking on the 1s an 2s! This entry was posted in DJ MIM, Events and tagged Adams Morgan, dj mim, DJMIMDC, mimsol, MimSol Entertainment, Slaviya DC, Slaviya Lounge by MIM Entertainment. Bookmark the permalink.